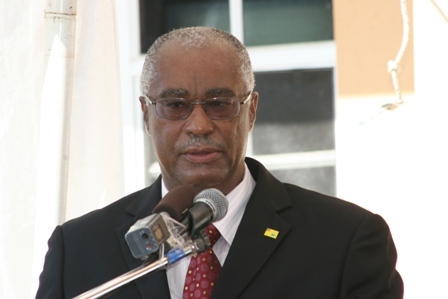 (Charlestown, Nevis–Thursday, September 22nd, 2011) Premier of Nevis and Minister of Finance, Hon. Joseph Parry left the Federation Thursday morning for Washington DC where he is expected to meet with International Monetary Fund (IMF) officials on Friday, September 23rd. .He will discuss a possible collaboration between the Nevis Island Administration (NIA) and an IMF supported economic programme. The meeting will be held at IMF headquarters in Washington D.C.
During the visit to the United States of America, the Premier will also meet with Export-Import (EXIM) Bank officials. Meanwhile, on Saturday, September 24th, the Hon. Joseph Parry will attend the annual Nevisians Association of Washington DC (Nev-DC) Awards Banquet at which several Nevisians who have contributed to the field of Agriculture in Nevis will be honoured.